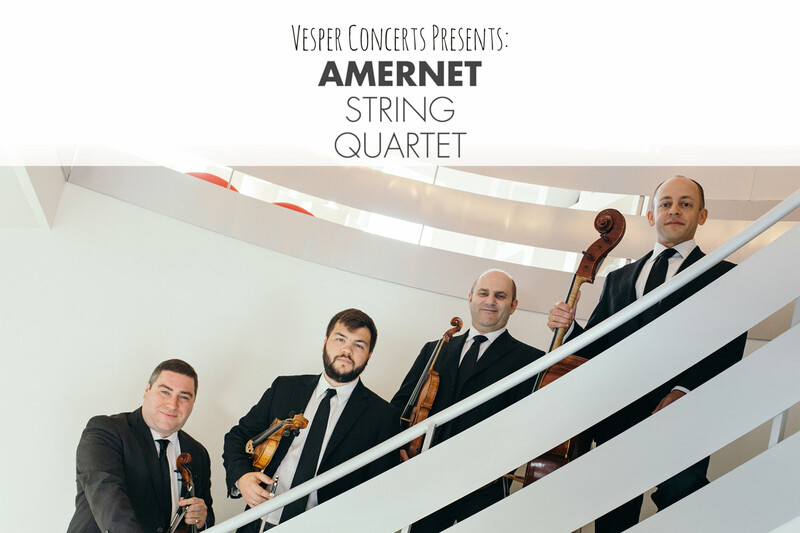 Vesper Concerts is thrilled to announce its 2018 – 2019 season! This season offers the outstanding programs you have known for 30 years while expanding the experience to feature Residency programs, collaborative partners, education and outreach programs throughout the area. 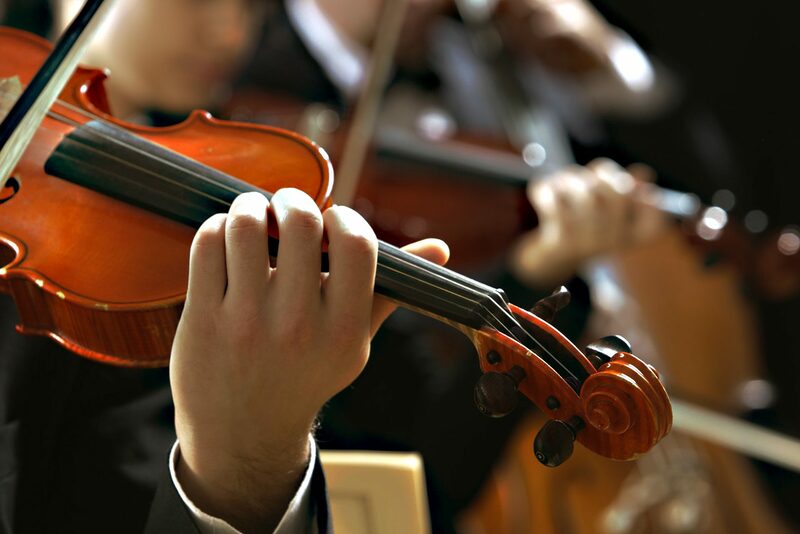 Vespers is dedicated to presenting multi-disciplinary, diverse concerts featuring outstanding musicians who are committed to speaking about their artistry in very personal, musical performances. This year’s season will represent music that champions issues surrounding social justice, environmental awareness, women composers, diversity in the arts, immigration and much more. 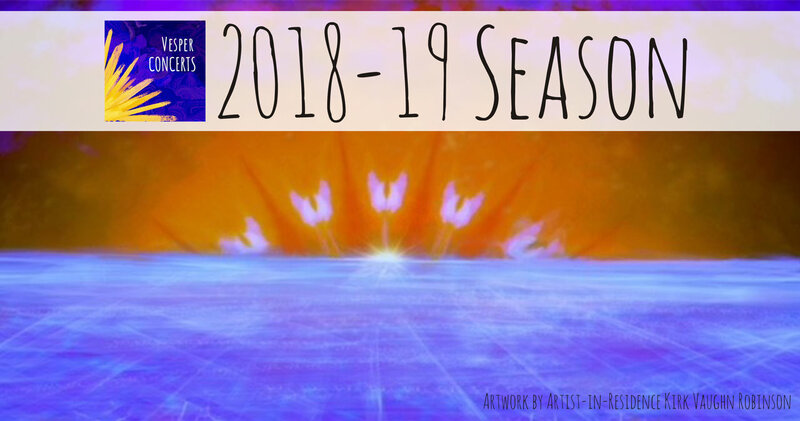 Join us for this exciting season featuring our Artists in Residence, the nationally-acclaimed Quince Ensemble and our eclectic group of performers. This profound group of artists will champion the present with compositions by female, African American and Nebraska composers to name a few. A notable jazz ensemble will re-imagine one of Ravel’s masterpieces while other guest artists honor the past with works by Rachmaninov, Schuholff, Shostakovich, respecting the relevancy of music and the arts in today’s society. We look forward to sharing in this tremendous season with all of you! July 16, 2018, 7:00 p.m. 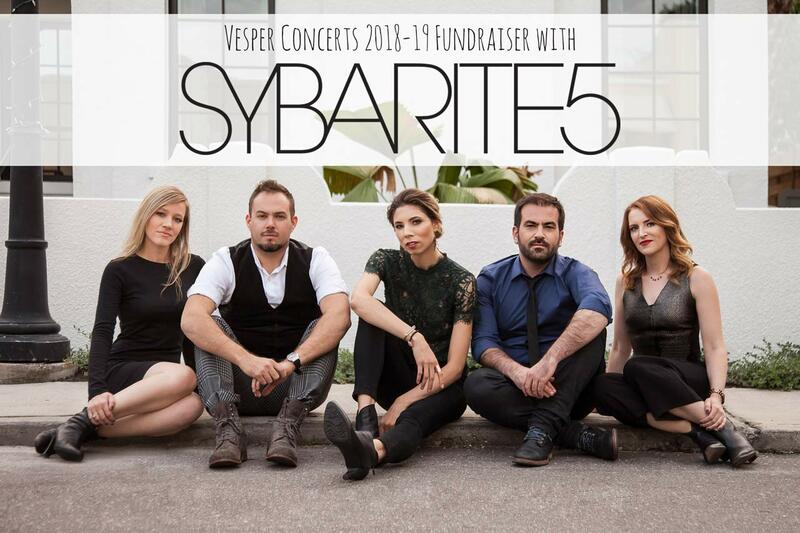 In a special performance for Vesper Concerts, SYBARITE5 string quintet will completely take you by storm with their musical prowess and unrelenting energy. Bring a picnic and a blanket and enjoy the beautiful grounds surrounding Presbyterian Church of the Cross. Food will also be available for purchase.  September 16, 2018, 3 p.m.
Amernet will be in residency September 14-16. Please click on the Amernet Residency tab to more information about events and locations.  October 21, 2018, 3 p.m. This concert is culmination of a one-of-a-kind educational retreat led by Quince Ensemble in collaboration with vocal students from Bellevue East and West High Schools, Lincoln East High School and the University of Nebraska Choral Department. Quince will present original works with the students that highlight the voice in stunning new ways. Quince will be in residency through our season. Please click on the Quince Residency tab for more information about events and locations. November 18, 2018, 3 p.m.
International artists from the USA and Brazil draw on their expertise to showcase composers who compel us to think globally. 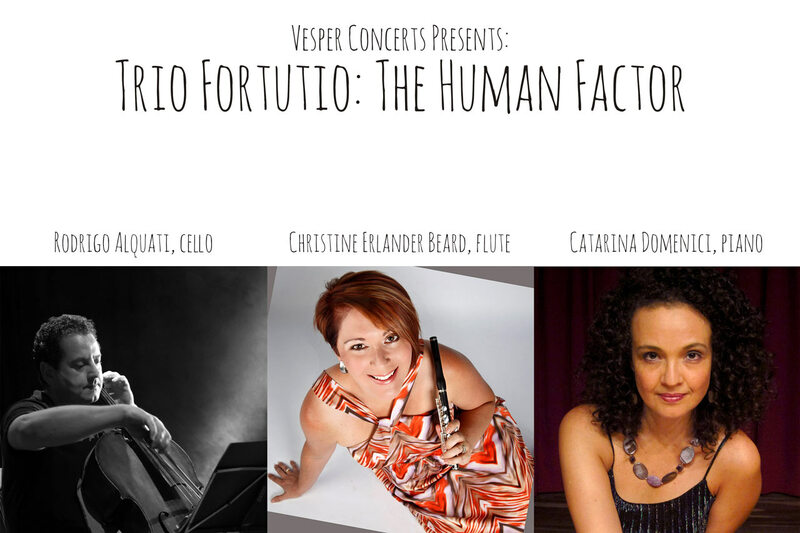 The Human Factor concert will speak to the themes of environmental issues and social justice and will showcase compositions that were written in the last fifty years. Inspired by sounds emitted by humpback whales, George Crumb’s, “Voices of the Whale” is symbolic of the powerful voices of nature. A musical journey featuring Hilary Tann, Amanda Harberg, and Robert Patterson’s insightful compositions about humanity, compassion and our responsibility for social justice and awareness will leave an indelible mark. January 13, 2019, 3 p.m. 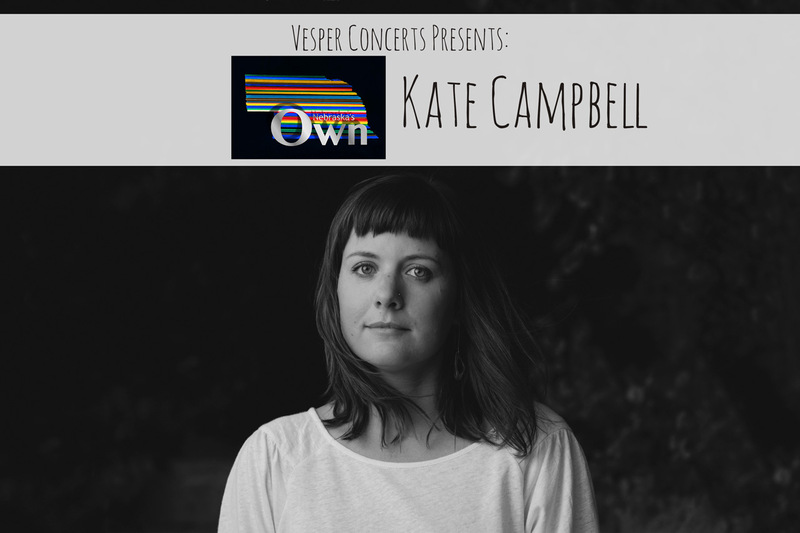 Hailed as a “brilliant pianist” (Financial Times), Kate Campbell performs frequently as a soloist and chamber musician specializing in 20th and 21st-century music. She has worked closely with many of the most prominent composers of our time and is at home with styles ranging from thorny modernism to “sleek and spirited” minimalism. Kate will present works by Pulitzer Prize winners John Luther Adams and Caroline Shaw; Opera Omaha’s Missy Mazzoli; and exciting new composer Anna Thordavaldsdottir. February 10, 2019, 3 p.m.
Reverso – Suite Ravel brings together American trombonist and composer, Ryan Keberle, and French pianist and composer, Frank Woeste, for an album bridging jazz and chamber music realized by an outstanding quartet featuring French cellist, Vincent Courtois, and drummer and percussionist superstar, Jeff Ballard. Suite: Ravel is ALL original music coming from a jazz perspective, inspired by Ravel’s famous baroque piano sonata Le tombeau de Couperin. 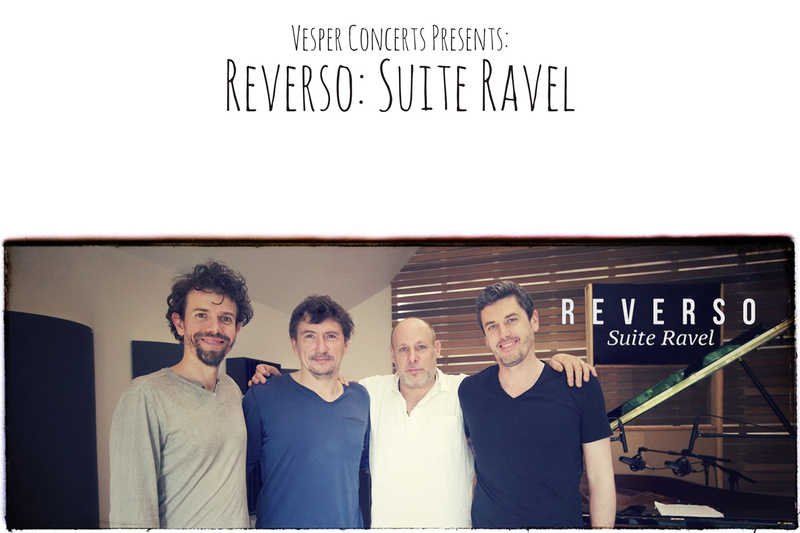 Vesper Concerts is collaborating with UNO Jazz and the French Alliance for this project. 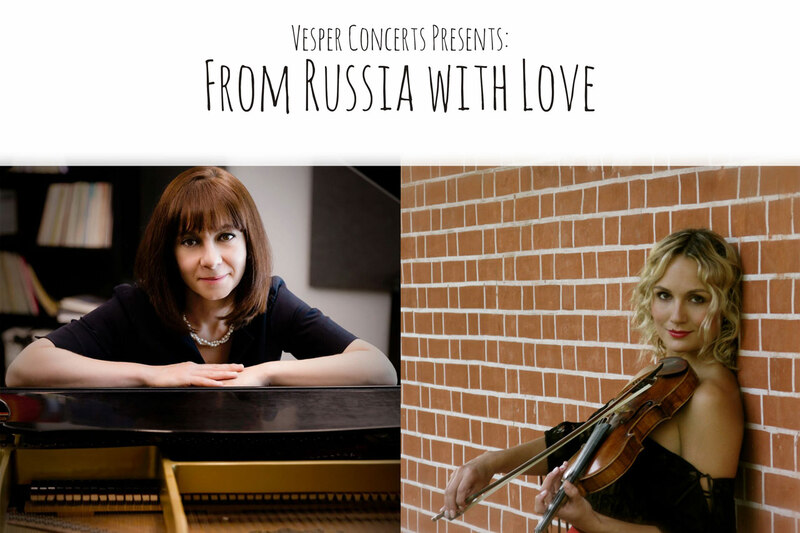 March 10, 2019, 3 p.m.
Russian-American duo–Yulia Kalashnikova, piano and Olga Smola, violin–will captivate listeners with their compelling musicality focusing on vibrant repertoire of composers who were immigrants. World music has been profoundly impacted with the vast cultural ties and roots of immigrants throughout the ages. Join us for a stunning performance featuring music by Rachmaninov, Alfred Schnittke, Mark O’Connor, and Rodion Schedrin, a program in which our guest artists will share their experience of immigrating to the United States. 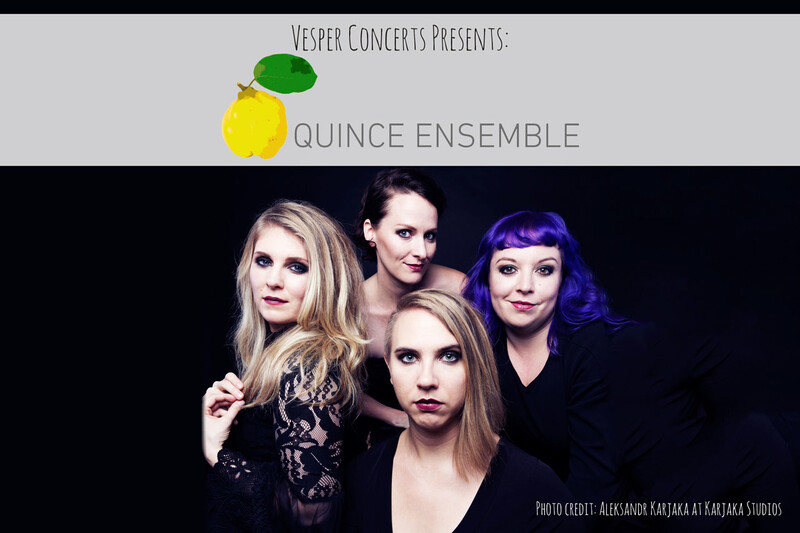 April 28, 2019, 3 p.m.
Singing with the precision and flexibility of modern chamber musicians, Quince Ensemble is changing the paradigm of contemporary vocal music. 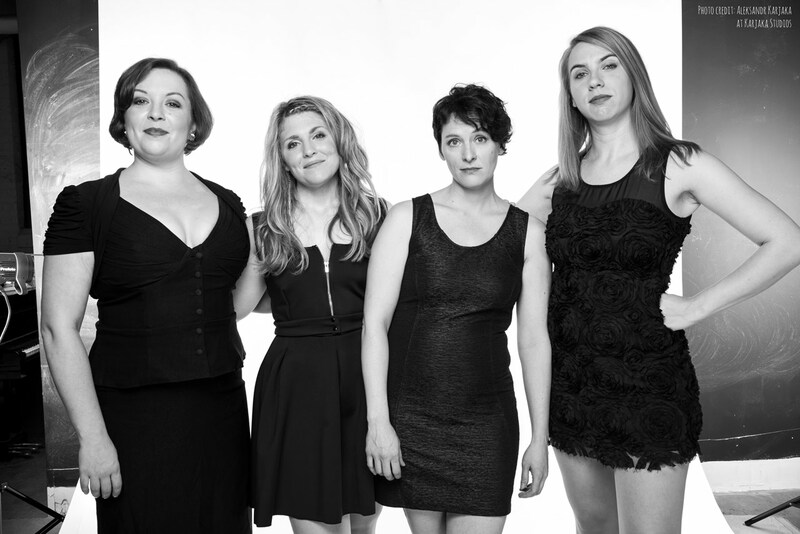 Described as “the Anonymous 4 of new music” by Opera News, Quince continually pushes the boundaries of vocal ensemble literature. Quince will have a Spring Arts Residency. Please click on the Quince Residency tab for more information about events and locations.